Lovely…I love the birds flying in the distance, this just makes it! Happy you noticed the geese, James. They stay at the wetlands all year and are always skilled models. 😉 Thank you! So lovely – the reflections in the ice are beautiful! Beautiful. Makes me want to be there! Very beautiful! This place must be fabulous in the summer. 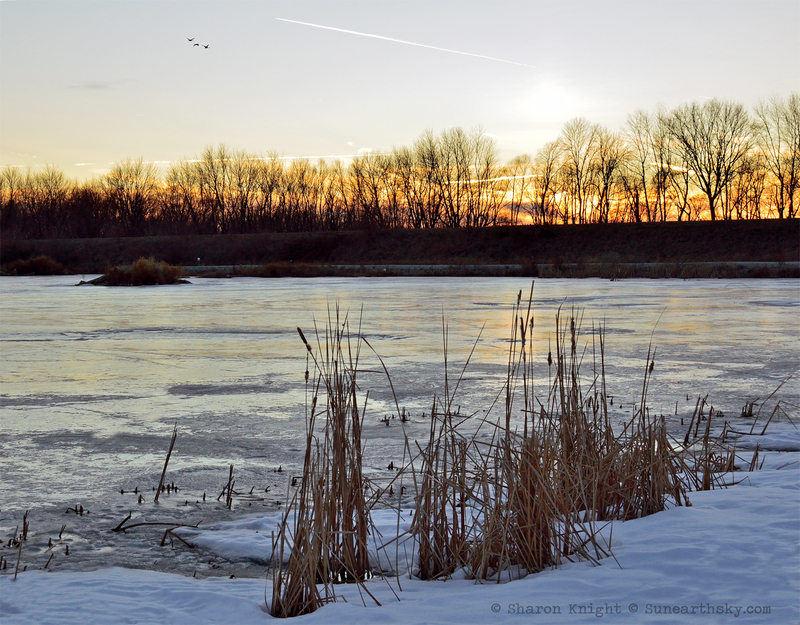 Winters’ quiet gift – beautiful shot Sharon. I like this shot. Thanks for sharing.